As a Left community organizer in the United States, working with oppressed and exploited people in the San Francisco Bay Area of California, I have benefitted greatly from Amílcar Cabral’s work and thought. I am part of a broader growing political tendency that is building a working class base for the Left in urban centers inside the United States, innovating with organizing fights for housing and transportation, immigrant’s rights, and women’s rights, building race-conscious class unity, particularly between oppressed communities of color who are pitted against each other at the bottom of the economy in the US, and have a strong basis for solidarity with working class and poor people throughout the world. Like a lot of radical political organizing in the 21st century, our tendency, in part, comes out of critiques of the 20th century socialist models. From rejecting the authoritarianism of Stalin, to broadening the concept of the revolutionary subject to include a broader set of marginalized groups not limited to the industrial working class, to rejecting race-blind class reductionism, to lifting up the liberatory aspects of cultural traditions among oppressed people. Amilcar Cabral’s work has been profoundly influential to the development of this political tendency, among many others around the world. His theory provides a way to engage with the shortfalls of 20th century models of radical change that do not throw the class struggle baby out with the Soviet bathwater. Cabral is a luminary among the broader set of Third World Marxists who, from Nicaragua to Kenya, led successful national liberation movements. He formed and led the PAIGC, and was instrumental in strategizing the successful overthrew of Portuguese colonialism, not only in his home of Cape Verde & Guinea Bissau, but also throughout the continent of Africa. He was core to the development of a broader Pan-Africanist tendency, which built strong links to liberation movements in Asia and Latin America, and had inspiring, global impact. Even in the United States, the belly of the beast, in such a markedly different time, place and set of conditions than the ones Cabral operated in, we have a lot to learn from his work. He grappled with theoretical questions that have parallels to the ones we face today. And, he reached a level of depth and sophistication regarding movement strategy that we have yet to achieve in the 21st century. Cabral’s work presents a different approach, in a very different context, with some of the same values. His advice to militants in his organization reflected a commitment to revolutionary democracy: ‘Do not be afraid of the people and persuade the people to take part in all the decisions which concern them – this is the basic condition of revolutionary democracy, which little by little we must achieve in accordance with the development of our struggle and our life.’ (1) He addresses this question in a dialectical way, acknowledging what our movements have been beginning to understand: that oppression and exploitation rob people of the capacity to self-govern, both structurally and psychologically, and that building that capacity is a core task within the revolutionary struggle, and not after. This very same assessment is built into radical community organizing that seeks to develop working class leaders who can advance the social justice movement as a whole. Structures of support, capacity-building, and decision making that we have built in the community organizing sector prioritize people directly impacted by the problems of capitalism, and are attempts to build that kind of revolutionary democracy within our progressive movements. Cabral called for both collective and individual leadership, and theorized the role of individual leadership as part of a collective whole. He said ‘The leader must be the faithful interpreter of the will and the aspirations of the revolutionary majority and not the lord of power’. (2) This approach affirms the role of leaders in and developing the vision emerging from the people, while not putting leaders on a pedestal of unchecked power. To that end he called on militants to ‘Tell no lies, claim no easy victories,’ and encouraged a practice of profound humility, honest evaluation, and integrity throughout his organization. The PAIGC was so committed to being an instrument of the people, that, in 1973, after more than a decade of armed struggle, when they finally defeated Portugal militarily, they did not storm the palace of power. Rather, they returned to the people, conducting a vote of confidence among the population, affirming their approval through a popular vote before officially taking up governance. This referendum is a powerful example of revolutionary democracy. What would today’s movements look like if we had highly effective, collectively controlled instruments of political struggle? What would organizations look like if we held individuals to high standards of integrity, provided structured developmental support, and consciously built our capacities towards governance? Re-imagining political power is a central challenge to today’s 21st century generation of freedom fighters. I have been part of experiments in structure that sought to uphold the value of collective leadership, from flat collectives to ultra-democratic centralism, to developmental hierarchies that focused on in-depth training and mentorship for emerging leaders. These approaches, none of them perfect, have re-enforced the core lessons that Cabral offers: the need for clarity on the outcomes you seek, the necessity for alignment and accountability, and the value of collective leadership among people who share a political goal. Cabral argued that no revolution could be truly successful without leadership from the working and peasant classes whose work produced the wealth of the country and of it’s colonizers, and whose strategic position was powerful enough to turn the tables on economic injustice. And that a revolutionary vision of liberation would not be satisfied by simply replacing Portuguese political and economic control, putting the national bourgeoisie at the top of the exploitative structure created by colonialism. Gaining political representation or even political control would not be sufficient to truly change the economic structure that colonialism put in place. Neither would it be possible or ideal to return to the way indigenous societies were organized before colonialism. So, Cabral argued, the task of revolutionaries was to make possible the development of national productive forces (the capacity of Cape Verde & Guinea Bissau to sustain an economy independent of Portugal), while laying the ideological foundations and movement infrastructure to fight against exploitation that would emerge under the rule of the national bourgeoisie. Today’s reality is one where the exploiting class is no longer made up only of European colonial rulers. There are plenty of political and corporate leaders from oppressed nationalities, some of whom use their oppressed identity as an excuse to not only exploit others, but to celebrate that exploitation as if it were a hallmark of progress. The question of class exploitation was core to Cabral’s strategy, and is just as important for freedom fighters today. Without organizing working class people from oppressed nationalities, our movements lack the strategic base of power that can challenge capitalism’s core. Without organizing working class and peasant communities, our movements can easily remain focused on social issues without tackling the underlying economic structure of capitalism. That is why organizing working class people is so important to building a successful movement towards economic democracy. Organizers in the 21st century can learn from this type of detailed assessment based on the time, place and conditions, and should be asking ourselves these same questions. What is the most strategic role for privileged layers of society in social movements today? The economic crisis has pushed more and more racially privileged and self-identified middle class people into precariousness and even poverty. Foreclosures, unemployment, loss of pensions, and lack of basic resources like healthcare are no longer problems unique to the self-identified working classes. While it is true that these privileged sectors have not felt the brunt of the burden of the failures of neo-liberalism, denying their experiences, or writing them off as irrelevant to the movement is a self-marginalizing mistake. Unless we can leverage this opportunity to provide new entry points into the movement, and engage the falling “middle class” in the project of fighting for economic justice for the working class as a whole, our movement will not be able to grow to the scale we need to win. Nor will we be able to capture the imagination of society as a whole. How to best engage privileged sectors is a complicated question. Just as capitalism has robbed oppressed and exploited people of leadership capacities, it has ingrained privileged people with a complex of superiority that undercuts our collective capacity for revolutionary democracy. A more nuanced understanding that recognizes that we all have experiences of privilege and oppression allows us to build a more intersectional analysis. Just as Cabral theorized the unique potential of a sector of the petty-bourgeoisie, while positioning the working class as the motive force of change, our movement should also get clear on the role of particular sectors of the falling “middle class,” in a broad multi-racial, multi-class, multi-gender movement led by working class people. This type of cross-class movement building requires a particular framework. Freedom fighters from privileged backgrounds, who Cabral identified as an important force within the broader front against imperialism, would need to gain a new kind of consciousness and develop a core sense of revolutionary ethics if they were to make real contributions to the movement. Class suicide is an amazing concept: a vision of profound transformation and alignment with the revolutionary project, on a collective level that breaks open the next stage of development for the movement. This is particularly relevant in the face of the ongoing crisis in the capitalist economy and in the world’s ecology, as more and more people are downwardly mobile or experiencing ecological collapse and are mobilized to join emerging movements. Not only is there an opportunity for class-consciousness as wealth becomes more and more polarized, there is also an opportunity for privileged sectors of society to develop the moral consciousness that can help create the conditions for the development of 21st century liberation movements. This dialectical approach that intertwined theory and practice made Amílcar Cabral one of the greatest visionaries of the 20th century. Even though his theories are deeply rooted in the movement for national independence in Cape Verde and Guinea Bissau decades ago, they have a much broader reach and meaning. From the groundbreaking concept of class suicide, to the imagination and application of revolutionary democracy, Cabral’s contributions have the potential to support a successful re-emergence of social movements in the 21st century. 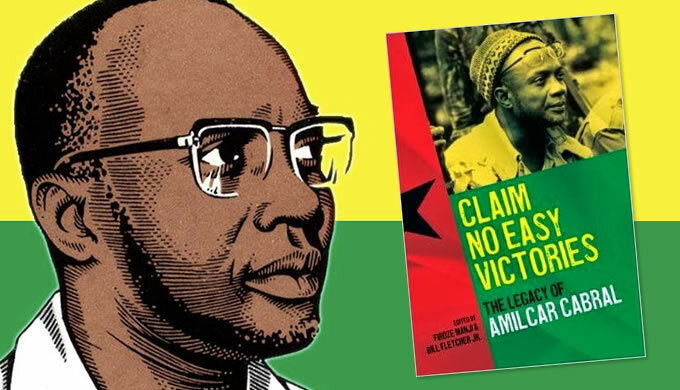 This essay is published in the book “Claim No Easy Victories: The Legacy of Amilcar Cabral,” published by CODESRIA, Senegal, available in the US at Powell’s Independent Bookstore Online.